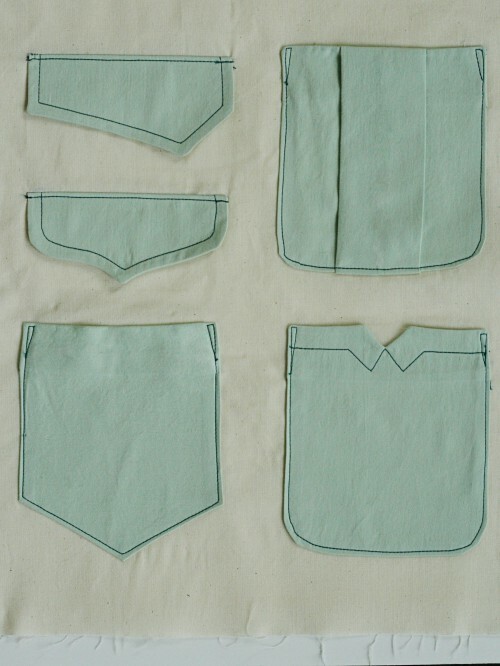 If you’re making a Negroni shirt, take a look at some of these free pocket variations you can try! Since there are so many options for doing cool things with pockets on men’s shirts, we couldn’t really decide. So here are several ideas, complete with instructions, for switching out the pockets and pocket flaps on your Negroni. The Negroni pocket variations are available as a downloadable PDF, with pattern pieces and instructions.